Team Titan have had a great ending to their World War II topic today with a VE Day Street Party. 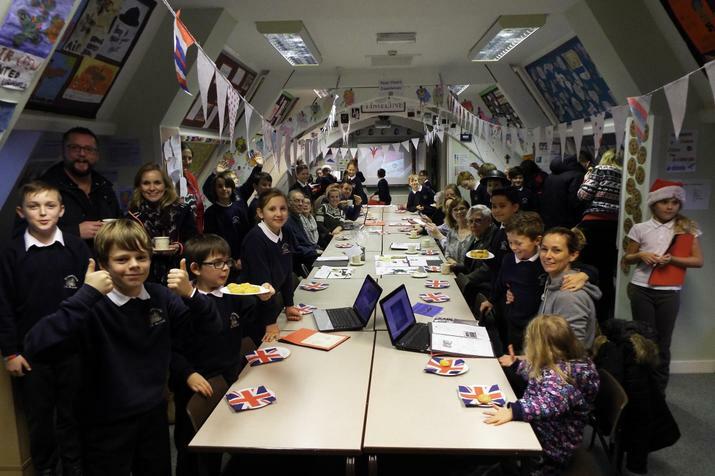 The classroom was set up with long tables and red, white and blue bunting. The children had busily been baking delicious rationing biscuits, carrot cookies and homemade digestives, which the parents then enjoyed with a cup of tea. During the party, parents were able to watch the children's short animations remembering our heroes from WWII and look through their child's topic books, which were full of fantastic work they had done and showed how much we had all enjoyed our learning about World War II. A great party, just a shame there were no biscuits left for Mrs Tennant!